The world is full of fidgeters. Kids fidget. Adults fidget. Some of you are fidgeting while you’re reading this. We see it all the time in the form of bouncing legs, spinning pens, or finger drumming. While these behaviors may make it seem like someone is not paying attention, fidgeting actually helps some people concentrate, giving them an outlet for excess energy so they can stay focused on a task. Aside from channeling stress and anxiety, fidgeting also helps people cope with conditions like ADD, autism, and Asperger syndrome, and even helps some people break bad habits like smoking, nail biting, and over-eating. Jason Burns, known by some as Fidget Man, has been in the fidget toy business since 2009, and he can fidget with the best of them. 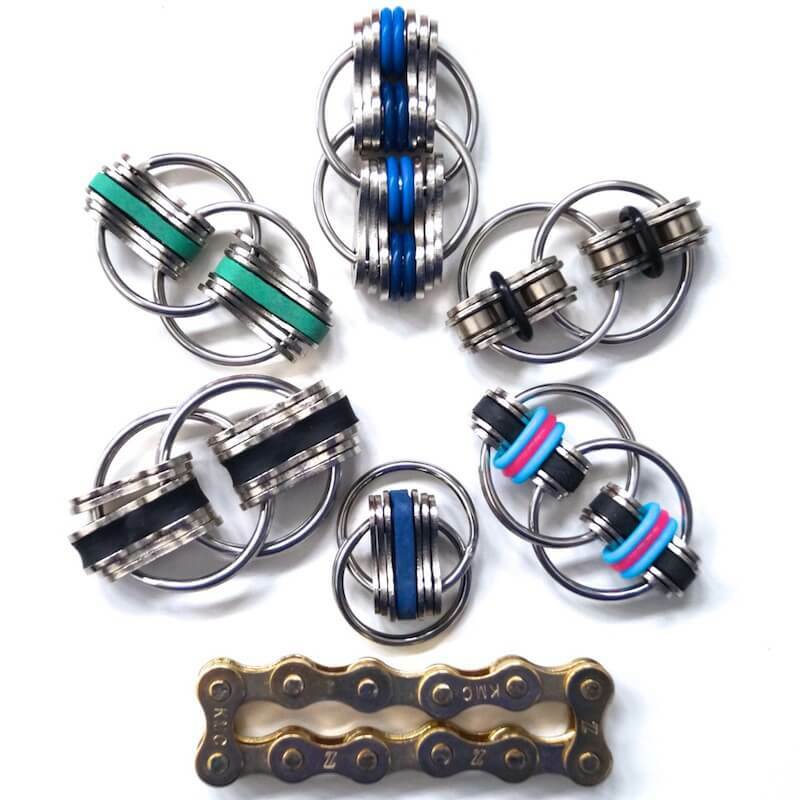 He started creating his fidgets for personal use, to help him manage his attention deficit disorder, after finding that options the marketplace were limited to products made for kids. He designed countless prototypes, a process that was no doubt satisfying for perpetual fidgeter like himself, until he had the perfect design. Something that had the right feel and weight, something that was fluid and satisfying to play with, and something that could easily fit in his pocket so he could discreetly fidget even if he was in a meeting at work. He began selling his fidgets on his first website fidgetman.com and the response was overwhelming. Emails quickly piled up from thankful parents of children dealing with behavior and learning disabilities, and from adults who were struggling with anxiety, hair twirling, and dozens of other issues. It was a pivotal time for inventor turned entrepreneur Jason Burns, as he began to realize that his products were actually improving people’s lives. Jason now has a variety of designs for fidgeters to choose from. Many models are variations on his first design, Noah, which is comprised of rings, spacers, and rollers. The biggest departure from these is his Chaney fidget, which is like a small ring of bicycle chain that easily fits in the hand. There are a variety of sizes from mini to jumbo, so every fidgeter can find the perfect fit. The larger versions have more pieces and extra weight. Stainless steel and silicone parts provide different textures and feel, to increase the soothing tactile experience.